00:16 hfranqui Any skin switching mod that supports sfinv? 00:25 KaadmY Is the zoom priv default or do I have to specifically enable it if I use `default_privs` in minetest.conf? 00:26 AlexYst What's the advantage of using minetest. * or core. * over the other? 00:26 AlexYst KaadmY: It doesn't seem to be default, no. 00:26 AlexYst KaadmY: Ah, got it. 00:27 AlexYst I wonder why both options are provided then. Strange. 00:27 KaadmY It was probably originally called "minetest"
00:28 AlexYst I'm not sure why the new name would be needed though. It's the Minetest API, so minetest. * makes more sense than core.* . 00:29 AlexYst Not that I actually care one way ore the other. 00:29 AlexYst Ah, got it. 00:29 KaadmY rubenwardy: why is core "internal"? 00:29 AlexYst rubenwardy: OH! I get it, that was a good idea. 00:31 AlexYst Not that that should happen now, it's too late. 00:31 AlexYst Yeah, that's why it's too late. 00:31 AlexYst "core" is shorter, but not to the point. Core of what? 00:32 KaadmY Core of the modding platform? 00:32 AlexYst That said, I do like short names. There's a reason I'm at y.st. in DNS. 00:34 AlexYst I can't wait to have a home Internet connection again. 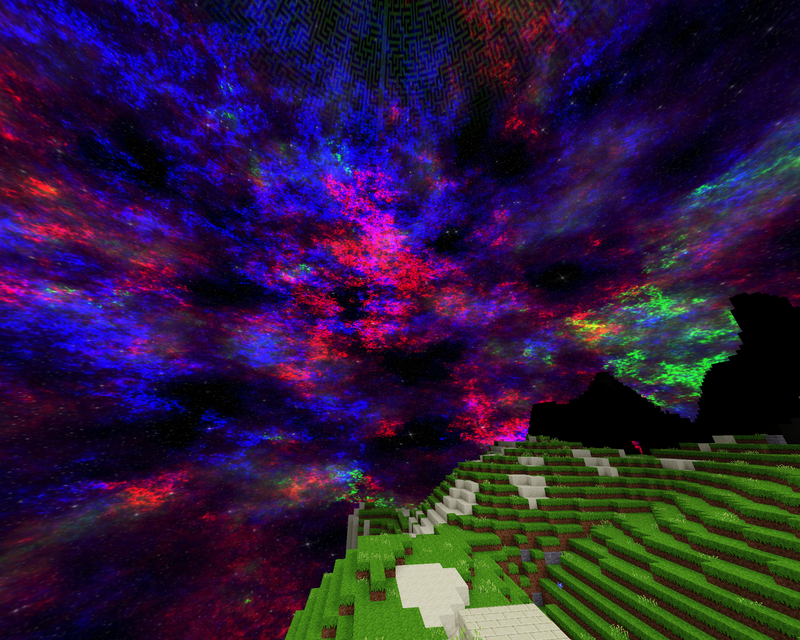 I've been yearning to put a Minetest server at "minet.y.st.:30000". 00:35 AlexYst KaadmY: Last I checked, "minete.st." is still available for registration. 00:38 rubenwardy "An error occurred during a connection to y.st. Peerâ€™s Certificate has been revoked. Error code: SEC_ERROR_REVOKED_CERTIFICATE"
00:41 AlexYst rubenwardy: Yeah, Firefox and maybe others have revoked the root StartSSL cert. Until I find another gratis provider, I can't do much about it. Not much money, sorry. 00:42 AlexYst Ah, got it. 00:44 AlexYst rubenwardy: Let's Encrypt refuses to issue certs that last longer than three months. Not my server, so I can't control when certs are refreshed. That means I need to leave at least a month's buffer during which to hope the server updates, dropping that to two months. I don't have time to switch certs every two months. 00:44 AlexYst I can look into that GitHub option though. It might work. 00:45 AlexYst Assuming GitHub allows trailing dots. 00:45 AlexYst rubenwardy: Not my server, I have no cron access. 00:45 rubenwardy why do you need trailing dots? 00:46 AlexYst Because my website is at <https://y.st./>. It uses a trailing dot. 00:46 AlexYst I'm not updating all my links and trying to figure out who all's linked to be and trying to get them to update too. 00:47 AlexYst KaadmY: That's the proper form, most people just don't know all domains end in a dot and they leave it off. 00:47 AlexYst rubenwardy: It's perfectly valid, though most Web browsers don't handle it correctly because it's so uncommonly used. 00:48 AlexYst I've actually got a page on that and a bunch of bug reports. 00:48 rubenwardy did your site have problems without it? 00:49 AlexYst rubenwardy: On some local networks, there was a potential for a problem. I wouldn't know if anyone actually hit that problem though. 00:50 AlexYst rubenwardy: Lynx doesn't work. It strips the dot from the HTTP Host header, which is incorrect behaviour. 00:50 AlexYst OH! Got it. 00:51 AlexYst KaadmY: Doing that requires a good cert though. I don't have one since that root got revoked. 00:52 AlexYst KaadmY: Any decent browser and most indecent browsers should allow you to bypass the error. Chromium is one of those browsers. 00:52 AlexYst Okay, I was confirming it was Chromium, not uBlock. 00:53 AlexYst Ah, got it. 00:53 rubenwardy so the whole point is in case a local network has a local mt tld? 00:54 AlexYst The point is to do it right. 00:55 AlexYst The RFCs say to use the dot whenever there is any chance of ambiguity. 00:55 AlexYst There's almost always a chance. 00:55 AlexYst <https://blog.rubenwardy.com/2017/05/05/HTTPS-with-github-pages-and-custom-domain/> is coming through as a blank page. 00:56 AlexYst Firefox, and I updated Firefox, like, three days ago. 00:57 AlexYst It looks like the page has no source code from here, which I'm sure isn't right. 00:57 AlexYst Yesterday was entry #795 on mine, starting at #0. 00:58 KaadmY fireglow: that's what we're talking about ._. 00:58 AlexYst fireglow: If you know a gratis TLS certificate provider, I'd love to fix it. 00:58 KaadmY > Let's Encrypt refuses to issue certs that last longer than three months. Not my server, so I can't control when certs are refreshed. That means I need to leave at least a month's buffer during which to hope the server updates, dropping that to two months. I don't have time to switch certs every two months. 00:58 AlexYst fireglow: They won't issue certificates for long enough. I'm too busy to update the cert every two months. 00:59 AlexYst fireglow: Not my server, I have no cron access. 00:59 AlexYst Let's Encrypt assumes a specific use case that not everyone fits into. 00:59 KaadmY > Not my server, I have no cron access. 01:01 AlexYst fireglow: The only file access I have is over SSH. I don't even have full SSH access though. I have to use SSHFS. Try combining that with cron. Good luck. You'd need to find a way to see if it's mounted, and if not, mount it before pushing. Furthermore, I don't think I like the idea of my computer automatically reaching out across the network without my specifically having told it to do that. 01:03 AlexYst rubenwardy: Another blank page, and nothing in the network inspector. 01:04 AlexYst rubenwardy: The IP address Web address gives me a 404 error. 01:05 AlexYst If I add an "s" to the scheme, I get the same blank page as with the domain name-based URI. 01:06 AlexYst Hmm. THat shouldn't cause a problem with "http:"-scheme addresses though. 01:06 AlexYst OH! Got it. 01:07 AlexYst fireglow: I do my best, but I have little by way of resources. 01:08 AlexYst At least we're not using bare, unencrypted HTTP. 01:09 AlexYst Well, I've got to go. Might be back in about an hour. 01:12 fireglow aw "Promotion ends 30/04/2017"
02:54 KaadmY What's the `flag` settingtype? 02:55 KaadmY Ah, radio button list? 03:38 KaadmY Is there a save interval variable? 03:39 KaadmY For how often world data files are saved? 03:43 KaadmY Is 20 seconds too long? 12:42 yusf[m] Is there a light alternative to moretrees? 13:31 yusf[m] calculon: Interesting! It's that mod with multiple growing stages, right? 17:23 AlexYst Sometimes you just can't decide on a number. I've had those days. 17:24 AlexYst The square root of negative one is always a good choice though. 17:30 Raven262 Decide a number? Well i decided one long ago and no more problems show up. 18:22 Raven262 Well, if anyone can tell me if 262 is some kind of mathematical constant or something... It just keeps appearing in my life randomly. 18:23 Raven262 Even if it was i doubt it would have anything to to with this anyway. 18:35 Wuzzy Raven262: 262 is a constant. 18:41 Raven262 Something of a mathematical relevance? 18:41 Raven262 Or just an ordinary number? 19:27 AlexYst Raven262: I meant red-#, as they kept changing their number for a bit. 19:31 AlexYst I'm liking this new tin that was added to the game. WHen copper was added, I was kind of frustrated because of the copper + iron thing, but the new tin fixes that. 19:32 AlexYst What is minetest-hub? 19:32 AlexYst Huh. Hadn't heard of that one. 19:34 lisac Putting a stake through the vampire's heart kills it; but it also kills anything else. 19:34 Raven262 Tell them, lisac. 19:34 AlexYst Hmm. If we can't speak, there's no sence in my being there. 19:34 lisac I don't think I can. 19:34 Raven262 Am i legitimate? 19:34 AlexYst Legitimate for what? 19:34 calculon i don't know, are you a contributor ? 19:35 * lisac is a contributor! 19:35 Calinou I am a contributor! I changed floor friction to 1.8 from 2! 19:35 AlexYst I hope to be once life settles down a bit. 19:36 Raven262 Yes, lisac i know. 19:36 AlexYst Huh. Some on the regulars list are just mod writers. I've got one I plan to release at some point, and a few others in the works. 19:37 AlexYst I just realised my mod needs to be updated to accommodate tin. I guess that drops my finished mod count back to zero. 19:38 lisac not of code, though. 19:38 lisac Nice skybox, raven. 19:38 AlexYst Raven262: That's a pretty sweet sky. Not sure what it is, but I like it. 19:39 AlexYst The maze-like lines near the top are a nice touch. 19:42 AlexYst I see why you might think that, as it looks like a totally bizarre design for a sky, but it has an epic feel to it. 19:43 AlexYst lisac: Blocked by CloudFlare. 19:44 Calinou hmm, how did you do that sky? 19:44 AlexYst Raven262: What's that thing in the background? A mountain with a beam into the heavens? 19:45 AlexYst lisac: That's because CloudFlare selectively discriminates against some members of the Internet community but not others. Some peopel will get through just fine, but others won't. CloudFlare's a real pain. 19:46 Raven262 Red strikes again! 19:46 AlexYst I don't know Halo. Is a ringworld a planet that's ring-shaped instead of spherical? 19:48 AlexYst The terrain is only inwards, not all the way around? Strange. 19:48 Raven262 well, gravity wouldn't allow it, right? 19:48 Raven262 wanna try out the skybox? 19:49 AlexYst Gravity wouldn't allow a ring-shaped planet. But if it did, I'd expect terrain on the outside or all the way around. 19:49 AlexYst Sure, I'd love to try it out. Thanks! 19:52 AlexYst I know what GNU is, but if you don't mind my asking, what is BDC? 19:54 AlexYst I can't honestly say I know what that means. 19:56 AlexYst Maybe skybox, skybox_0, and skybox_1? 19:58 AlexYst And Firefox removed the old easy toggle. Gotta' go into <about:config> for that now. 19:59 AlexYst Raven262: Yeah, it's cost me a lot of time and a few points. 19:59 Raven262 We don't yet use websites so much in our schools, at least my school doesn't. 20:00 AlexYst My school's purely online. 20:01 Raven262 So, you don't "go" to school then? 20:01 Raven262 You just learn via the internet? 20:03 AlexYst THat sky's pretty sweet. My only complaint is that it's identical in the day and at night. At night, the bright sky looks strange with the dark ground. 20:04 AlexYst Raven262: Yeah, but I save tonnes of money. Only $100 USD per course, as opposed to thousands. 20:04 AlexYst Ah, I know that feeling. 20:06 AlexYst Why don't you not have that option? At an online university, you can reach the school no matter where you are. 20:06 Raven262 Since i would have to make the ring rotate around that star, and that would take lots of frames. 20:06 AlexYst Ah, I see. 20:07 Raven262 Well, i might check that out. 20:08 AlexYst Huh. The star's kind of in the middle, so there shouldn't really be a night. Maybe that's the solution. Set the game to never be night. 20:08 Raven262 It has to maintain orbit in order not to fall on the star it rotates around. 20:09 AlexYst Raven262: I don't know if you're interested, but it's <http://www.uopeople.edu/> if you decide to check it out. 20:09 Raven262 both rotation affect day/night cycle. 20:09 AlexYst Raven262: Okay, I get it. 20:09 Raven262 Don't know if i can get a job with this. 20:09 AlexYst That's a pretty strange planet. And a flexible one. 20:09 Raven262 At least not here. 20:10 AlexYst The ring world of this Halo game. 20:10 Raven262 The first halo game is the only good one, i recommend playing it. 20:10 slemonide The ring world had a special mechanism for the day/night shift. 20:10 AlexYst I guess if it's looped around the sun, maybe it doesn't count as a planet? 20:11 AlexYst I don't really have any game systems in my home besides my laptop. It's pretty much Minetest and SuperTux, for me. 20:11 slemonide There was an inner ring of smaller radius that created shadows. 20:12 slemonide I am talking about the Ring World. 20:12 * Raven262 has no idea about the "ringworld"
20:14 slemonide Also, it's unstable. 20:14 slemonide It's a ring around a star. 20:14 AlexYst It seems like any ring-shaped world like this would be unstable. 20:14 slemonide Well, if it orbits the star then everything is ok.
20:15 slemonide But if the center of the ring is at the star, then it's unstable. 20:17 Raven262 It could never be made. Only the finished ring, rotating at a certain speed would be stable. 20:18 Raven262 At least i think so. 20:20 Raven262 I just noticed that the whole halo is actually based on this ringworld thing. 20:20 Raven262 -1 for unoriginality to microsoft. 20:21 AlexYst Microsoft? Actually coming up with an original idea? That's hilarious. They'd never do that. 20:21 Raven262 Yeah, now i get it. 20:22 Raven262 Halo was the only microsoft's game that i liked. 20:23 Raven262 I could make an even better ringworld in blender, if i rendered the whole thing in blender. 20:23 Raven262 Rather than using gimp to add lightning. 20:23 * Raven262 doesn't know how to use blender very well. 20:43 AlexYst I swear, I think that server is sending me zero-byte responses. 20:43 AlexYst I've yet to figure out *why* though.